Information Graphics aim to communicate a concepts, instructions and narratives in a visually appealing and engaging manner by using existing ways of seeing, as understood by the target market, in order for viewers to relate and react to them. In their process of construction, designers work with problem solving skills and universal design principles to generate visually appealing and engaging works that communicate concepts in a clear and concise way. They employ socially constructed tools, techniques and abstract systems of representation such as ideograms and pictograms; generic and universal codes such as signs, symbols and indexes; mathematical tools and visual aids such as diagrams, maps, charts and flow-charts. An infographic explaining the “time-coil” installation at The Gravity Centre, Gingin, aimed at primary-school-aged children. Exploring the nature of tangible and intangible design. A visual narrative exploring the nature of experience, in an attempt to answer whether experience can be communicated or transferred - and to what degree, and how people connect through this conversation. 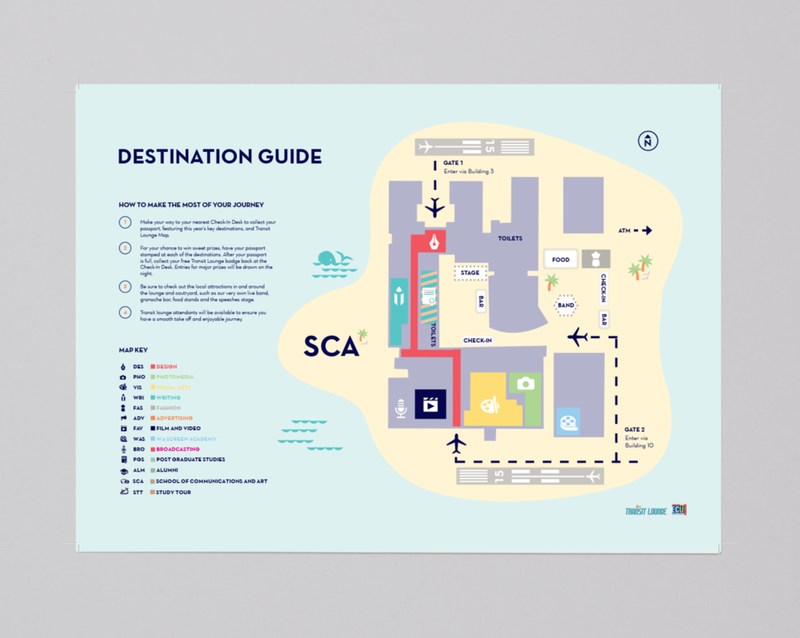 A brand identity designed for the 2015 Transit Lounge Exhibition, stretching over numerous touchpoints, including promotional materials, posters, wayfinding and directional signage, catalogues, merchandise, installations, stickers, pins and maps. Below are a couple of concepts for the maps. Information Design resources created for a PHD study ran by Edith Cowan University raising awareness about body image concerns and children.